IT was good to see winners for all the main tipsters and well done to everyone who contributed to a decent day. Goals looked like the way to go with Desmond's 2+ double and both to score double winning as did Scott's Euro both to score treble. Falkirk to beat Alloa was Greg's 2/1 nap and HullShaker also had some success with his tips. My Super Single was a 9-5 winner with bookies over-pricing Forfar. I also tipped Dundee United and Falkirk on my preview and got to credit the Racing Post's Mark Walker for his predicting wins for Forfar, Dundee United and Falkirk – it would have been some treble. Leeds equalising at Middlesbrough in the 111th minute meant my Top Treble paid out as a 5-2 double to give me a small profit with the accas on the day. That must be the latest goal I've had and good to hear the Leeds sub who was taken to hospital after a long stoppage is on the mend. It's another big day and I can't see anything but a win for Pep Guardiola's at home to Chelsea even if they are pretty short. They need a win to return to the top after Liverpool's cruise against Bournemouth. Other games see Spurs at home to Leicester and Norwich at home to Ipswich in the Old Farm derby and that will be a popular treble. City and Norwich start my moneyback fivefold as well as Italians Sampdoria and Atalanta at home to Frosinone and SPAL respectively. Atalanta are a slight concerns as they haven't beaten SPAL in three but they've won four of their last five in all competitions and have netted 19 in that spell. Samp thrashed Frosinone 5-0 away and should take care of a side who ended a poor run with a 4-0 win at fellow strugglers Bologna. Prolific scorer Fabio Quagliarella is as usual favourite at 11-4 with Unibet to score first. There are three Scottish Cup ties and I touched on all of them yesterday. Celtic face St Johnstone for the third time in 12 days and another 2-0 win is possible. Aberdeen should edge out Queen of the South at home but will have to keep an eye on 37-goal striker Stephen Dobbie who destroyed Dundee in the last round. And the romance of the Cup is well and truly alive as Hearts entertain junior side Auchinleck who I've watched a lot down the years. Can't see a rout but 2-0 or 3-0 Hearts would be my call. Hearts -2AH, over 2.5 goals at Aberdeen – with QoS and possibly Dobbie having a chance to contribute – and Juventus to get back to winning ways at Sassuolo is my Top Treble. On the Continent other big games include Athletic Bilbao v Barcelona, Sassuolo v Juventus and Nice v Lyon. Team goals shortlist for tomorrow-get some bets up in the morning. Man City, Celtic, Norwich, Atalanta, braga, Benfica, Aberdeen, hearts, young boys. Only need man city for my treble. But would be happy if it fails as am a liverpool fan. Yes. On the straight win and it’s a final part of a treble for me as well. PSV all the way for a good Sunday afternoon. Just a quick one everybody our old favourites Sunshine Coast are in action this morning 6am ko in Australia. It’s the second game in and only just realised the season started last week with a 3-1 defeat to Eastern Suburbs. Some of you will remember them from last year. For those of you that don’t let’s just say GOALS GALORE usually in there net. Markets are limited so best waiting for In play although a 6am kick offs not very appealing. Over 4.5 goals is 4/7 on so ya can see what the bookies think. One that might have a bit of value is Btts at 11/10. They managed a goal last week but Brisbane are better opposition. It’s come in 3/6 on h2hs. Good luck if ya manage to get on in th early hours. Problem with Sky is they don’t accumulate the two individual team Booking prices together so often the BP each team odds are a lot shorter than they should be. That explains it . ( I think ) cheers . Other teams/games too look out for goals are Milan/psv/Copenhagen. Battle of the top 2 here and if stats and form point to anything, it’s goals. Last 3 meetings in Melbourne have seen 5 goals. Glory average over 2 goals per game. Well done. Unlucky with your over 3.05 gls. Well done Sean, was on that penalty as well! Had an 8 match Goliath on yesterday based on the main tips from this site. Got 7/8 correct with only Dortmund win letting me down when they were 3-0 up with 15 to go. Gut wrenching but still a nice profit so thanks all. That was tough. Two shocks for the Borussia teams. Double, treble and a roll up acca…. Cerro are my Paraguayan team of choice for value, top team and top form at home – River Plate have marked their return to the big time with a bang. My initial thoughts were Cerro goals having scored 1-4-3-4 team goals in the last 4 H2H’s but those markets won’t open up until tomorrow – am I happy to go with match goals? You bet I am at a massive evens! Hopefully will see goals in the matches I picked in Germany and Switzerland. Strong case from the H2Hs and recent form. Son likes a goal against Leicester with 3 in last 2 and is in great form. The game in Denmark is usually a goal and corner fest – but cautious with the stake as straight after the winter break. The goal scorer is a longer shot but will provide an interest in the later Super Sunday KO. Cheers Mr H – don’t have an account with Sky – but decent odds for the 2 Argentines! 5 Fold today – Norwich,Man.C.,Celtic,Hearts & Aberdeen. 3.5/1. Betway. £25. £10 back in free bets for placing a £25 treb or more odds must be at least 2/1. Bet club. I think this one’s different because Ipswich are so poor at the moment. Everton can always give Liverpool a one-off game because they have some quality – Ipsiwch don’t. Norwich have been brilliant in spells at home and for me I can see them winning by two or three. I doubt Norwich will win this particular game by two or three,should be a very tight game. Well done Mr f you called it spot on,it would have to go overs wouldn’t it also.Shame i don’t think we are going to see this derby again for some time. Cheers, they could be two leagues apart. Pukki finally showing he’s the player Celtic thought they had bought. Not so good last night, I had a feeling for that according the profitable day, so I went to sleep with low stakes. Tonight we can find 3-4 games at South America countries, I will search deeper later. For an early bet I can see btts at Konyaspor. Nothing so far from btts…. Sam Cosgrove has scored 12 in his last 12 games includes 4 braces. The odds for him to score anytime and 2 or more at bet365 are decent for someone on the form he is plus he takes penalties. I expect Aberdeen to win comfortably today. Tipped Cosgrove yesterday and totally agree. Afternoon people, so the Danish Super league got under way yesterday with a 2-0 home win for Vejle. Not a game I knew much about. Today there are 4 games to choose from in the rain and mud, feels like home(Uk) weather wise. Wet ‘n’ windy. Kicking off in 30 mins is a game I fancy between Hobro vs AC Horsens. Anyway enough of me dribbling on. Drifing to 1.95 but still a good chance imo. shame West Brom couldn’t get a second goal to land the 16/1 shot yesterday. very close. Norwich btts & 3 German 2nd bundesliga games over 2.5 match goals 13.43/1@ladbrokes. German games ko 12.30, Norwich is 12.00. SV HOLSTEIN K over 1.5 TGS 6/5. Just seen the Ipswich line up! Fearing the worst, especially if Norwich start quickly ! Wouldn’t be surprised to see over 2.5 TGS Norwich!🙈…..what a sorry state my club is in! Wishing you good luck Wark, no pressure on your lot today and they may very well surprise you. Derbies can sometimes throw out the shock results and very rarely one sided affairs. Kyle, just as I feared the early Norwich goal! Lambert already appears to be ‘confused’ with what’s the way forward with formation, shape and personnel ! Defending there was a shambles, that goal was an absolute gift. being manager Lambert will always get most stick but do the problems not lie deeper than that Wark? @kyle, undoubtedly they do! McCarthy was shrewd without funds but over time he lacked any ambition than Championship survival, brought upon by the owner, who has little interest in the club! Also absolutely clueless in regards to football ! Lambert needs to install attacking entertaining football in division 1 next season otherwise by October he’ll be the next ‘kopping flak’! One main fancy for me today with a bigger stake. Will take on a speculative effort alongside it. Its HT Norwich up 1-0…Both teams have 1 shot on target and both have 4 off target. Ipswich to Score 11/5….This is a steal,,get on !!!!!! LOST….Had some very good chances,scoreline flattered Norwich. Poor game to start a Sunday on in 🇩🇰 sorry to anyone on. Now anyone on Brøndby should be made aware that they are missing their to most influential players today in top scorer Wilczek and German playmaker Hany Mukhtar (second top scorer). Brøndby are still the bighger team here but Nord sjaelland will be playing to their strengths on their artificial pitch. Just can’t see so many goals as usual without the two best players on the the pitch for Brøndby. Very disappointed with the rugby yesterday but we just weren’t good enough on the day. Off to see Celtic now and hopefully a good win to ease the hangover! Superb 5-0 win for Celtic today and got Forrest ATG before the game at evens. Sampdoria downed the treble with a very poor loss. going for this today with amongst others. not sure if spurs will win as there not playing well and missing too many players. which should lead to corners. celtic win 1.14 don’t really need to say anything already covered by the site. Nothing worse than a after eventer. Okay,guys you might be right but I’ve played like this for years but I play also trebles and singles.. I have already posted some sophisticated plays but no one seemed to be interested..
Premier League and Celtic in Scotland ‘ A Black Magic’..I prefer continental football,A-league and MLS. To create such a fake play, someone would have to have a lot of imagination but If you don’t believe..
Well it’s up to you of course.. The two early goals killed any chance St Johnstone had . Looked threatened by Atalanta at one point. City still a class above the rest. Keep the chin up DC we all hit lean spells after mine recently I went back to basics and took time out and cleared my head and just stuck with my local knowledge or who I watch live. Main bet lands for good profit. That’s the main thing! Another good weekend. Benfica game finished- just the 10 goals for them meaning young boys did indeed screw the full house of 3x treble and a roll up. cheers phi, seen your post this morning re 2 key players missing which threw some doubt in my mind but i had already put the bet on last nite…………… looking forward to your thoughts going forward sir GL……………..
Mr F – congrats on yesterday’s SS and cheers for putting the post up…not had a second all weekend as Mrs Hull has the man-flu. Over the course of the last 6 years, these two stalwarts have faced one another on 19 occasions – in only 2 of those H2H’s have either side failed to score with btts/overs trapping in around 60% of those meetings. Prices slightly on the drift for Jorge and, despite my focus on their form of late, they haven’t a great record against Oriente hence my swerving for the main bets. brilliant stuff WD that man……………..
A goal short at Young Boys downs the 16/5 treble, but the 3/1 lands. It’s a cert if Sarri is still there. Well done today. I’m needing Juve for my treble – 1-0 and can be covered. Thats me got my money for liverpool in munich. Still can’t believe Feyenoord only had 2 corners. Sean believe it or not i have a life as well. Especially when working away from home sun-fri, so time is limited. 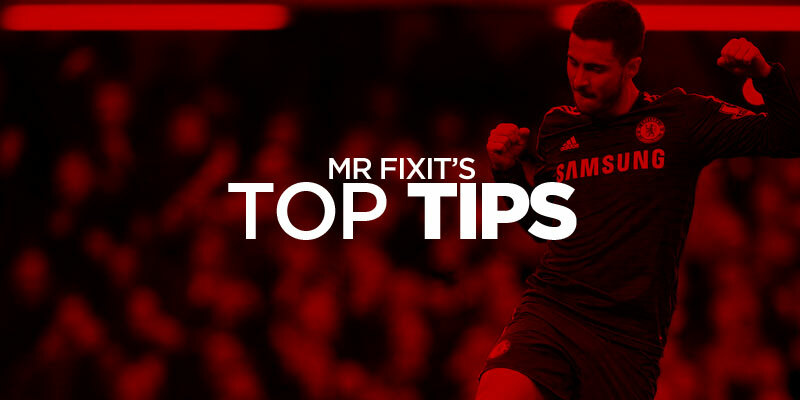 I’ve posted plenty pre match selections win or lose. Dont know if its a dig not posting or not believing me, more than happy to screenshot. On a side note i dont pay alot of attention to reserve football, i know greg follows it closely, gerrard said in post match interview yesterday some first team players who havent been featuring will get a run out on monday. Kamara, McAuley, Polster and Middleton all played last week against Morton and won 5-0. Wanted to bet on this prematch but got kickoff time wrong. Decent odds though inplay. Some cracking winners today gents including Leroy, Wark, Sean, NB amongst others. Well done to all! In play. Barca win. Evens. Messi Suarez rakitic and coutinho all playing. Lyon and Verono an ambitious wee Inplay double. no joy just the 1 goal. mixed bag today, well done all winners. Rionegro have failed to score in the opening three games and sit rock bottom where Patriotas have hit the net in every game so far .